Deano Cook is known for his flawless approach to marine realism, and Guy's reputation is mostly about his abstract biomech work. 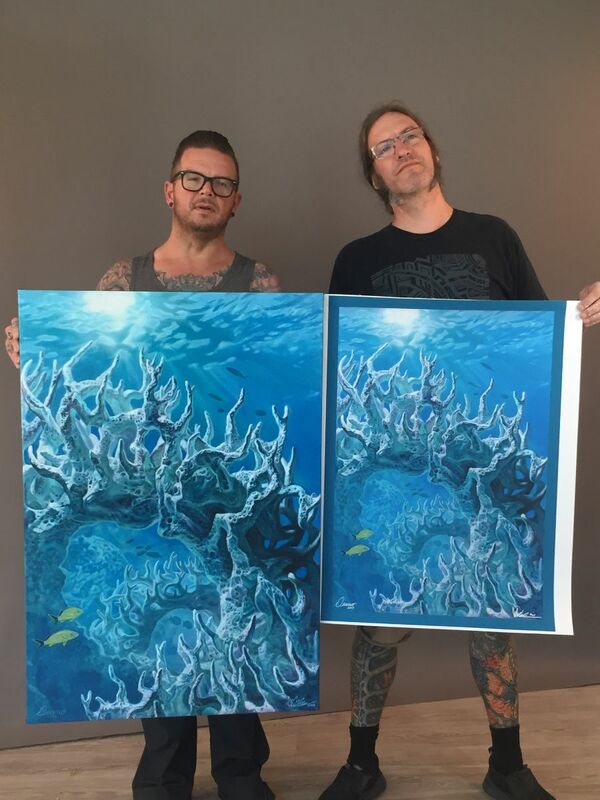 These two iconic artists bring together their styles and approaches in Aquatica, their debut collaborative painting project. 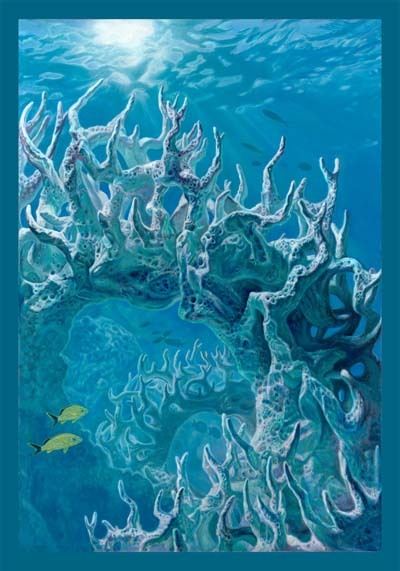 Due to such a strong response from their audiences, they have decided to release Aquatica in 2 canvas print formats, including a smaller limited run, 19"x28" plus a 1" border for mounting purposes, and a premium 26"x38" pre-stretched full-sized gallery edition. If you are out of the US and want to purchase this print, please contact us @ customerservice.hyperspace@gmail.com for shipping charges.